Energy-efficient recirculating Aqua-Supreme Air Pumps in 4 convenient sizes easily aerate single or multiple aquariums. 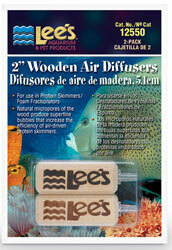 Aqua-Supreme air pumps are ideal for most fresh and saltwater aquarium applications. In addition to aerating single or multiple aquariums, Aqua-Supreme air pumps are great for oxygenating indoor ponds and water gardens, aerating single or multiple terrariums, and oxygenating indoor water features. 4W and 8W Aqua-Supreme air pumps let you adjust air flow as desired. Easy-to-use Aqua-Supreme air pumps accept standard airline tubing. Advanced design and soft rubber feet ensure quiet operation. Air pump motor needs no lubrication. These pumps are UL-listed. All AP-Series air pumps operate on standard 110V electric. 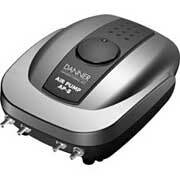 They have been designed to operate efficiently with a motor that is non-lubricated, and have no user-serviceable parts. They are designed for indoor and household use only. To prevent possible electric shock resulting from water back siphoning, locate air pump higher than water level. AP-Series pumps are not designed to work submerged - do not place in water. When placing airline tubing in your setup, avoid sharp turns or kinks that can cause excessive backpressure and decreased airflow. The AP-4 and AP-8 models include a variable output control knob on the pump top. Regulate air output simply by turning this control knob. A small air filter is located on the underside of the pump. Periodically remove, rinse, dry, and reinstall this filter to ensure optimal performance. ·Airline tubing may be kinked. 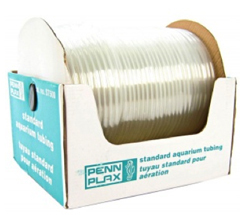 Straighten tubing or install new tubing if necessary. ·Airstone may be clogged. Replace airstone if necessary. ·Air filter may be dirty. Remove, clean, dry, and reinstall. ·Plug is not secure in outlet. Check all electrical connections. ·Internal diaphragm is worn. Please contact the manufacturer for replacement diaphragm kit.